Joyful praise and mournful weeping…What a contrast of emotions. 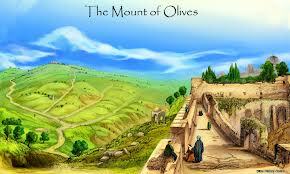 But both ends of the emotional spectrum were represented on the Mount of Olives on that day. The joyful celebration was a fulfillment of prophecies made centuries before. Zechariah had described a day when the King of Israel would triumphantly enter Jerusalem (Zech. 9:9). That day had arrived. With Jesus on a young donkey being ridden for the first time, the crowd paved the road with their garments and palm branches. Other branches they waved. As they reflected on Christ’s many miracles, they lauded Him as the King who had come in the name of the Lord (cf. Ps. 118:26). There is no question that Jesus is/was worth celebrating. But did those gathered really understand what they were doing? Where were these people a few days later as Christ was sentenced and executed? Were they looking for one who would be the King of their hearts to save them from their sin and from themselves? Or were they merely anticipating a king who would rescue them from the Roman government that tolerated them at best? Yes, they voiced joyful praise to Christ, but did they really grasp Christ’s identity and purpose? At least part of the answer is given a few moments later as Jesus rounded a curve in his descent from the mount. With the city in full view before Him, Christ, the One who had just been lauded by many, began to weep. The city had been visited. The Jews as a whole had seen or heard about the very One the Old Testament prophets had promised, but they failed to recognize Him as such. Jesus was emotionally broken as He thought not only about His rejection but also about the judgment that would come upon the beloved city of Jerusalem. From His vantage point there on the mount, He clearly prophesied of a day less than four decades into the future when much of Jerusalem would be destroyed. If only. If only the people had recognized Christ for who He truly is. But, you know, that “if only” is not only true of people then. I hope you recognize the “if only” people in and around your life. It is not too late for them. You can pray and share so that they can experience salvation. This entry was posted in Luke, Mountaintops. Bookmark the permalink.